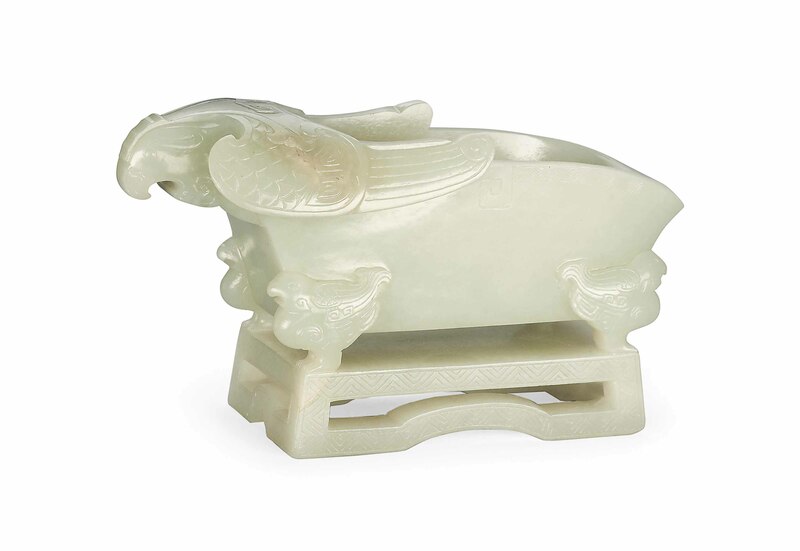 The vessel with sloping sides and four bird-form supports rests on a pierced rectangular base. It is surmounted at one end with the head and wings of a phoenix. Its facial details and feathers are finely incised. The stone is of a pale even tone with a pale russet and cloudy inclusion.